The new Samsung Galaxy S5 is embedded with lots of essential features and functions like the Global Positioning System or GPS, allowing the handset to determine your geographical position. Info about your location will then be utilized by a number of apps on the phone including navigation, weather forecast or the search function. 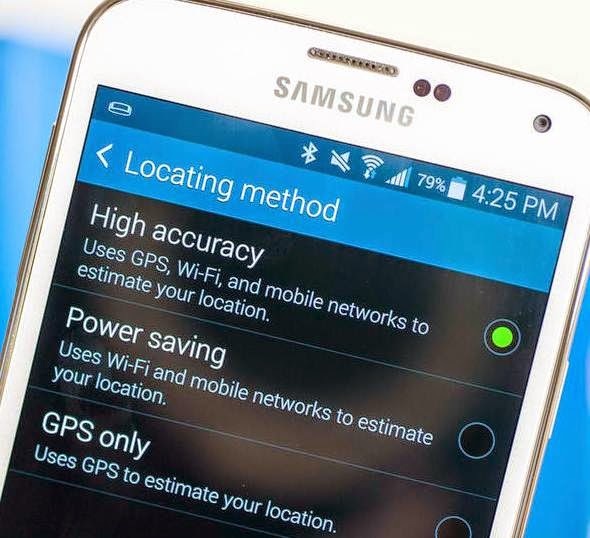 This content will guide you through troubleshooting GPS connection problem on Samsung Galaxy S5. There have been some reports on some GS5 owners complaining about their device that is not able to find their location. These users are just prompted with a message saying, "searching for signal." - Location setting is disabled or turned off. - Physical or liquid damage on the device. - Device software requires update. - Maps software requires update. 2. Try to go to an open area where you can clearly see the sky. Possible obstructions on GPS signal would include mountains, dense canopy, thick, walls and tall buildings. Avoid staying in any of these places if you're trying to use GPS on your phone to prevent possible signal obstruction. 3. Check your device and ensure there are no physical or liquid damage on it. Otherwise, your device may need some hardware or physical fix for you to be able to use the GPS function. 4. If you think your device software needs an upgrade, check for any software updates available for your device at Samsung.com. 5. If you think your Maps app needs an upgrade, please try to check for any available Maps app update in the Google Play Store. 1. Go to the Home screen and touch Menu to begin. * Touch the OFF slider to grant Access to My Location ON. 2. Put a check mark next to the GPS satellites. 3. Put a check mark next to Use Wireless Networks. Hint: Once you enabled this feature, it will guide through determining your current location using the mobile data and/or wireless networks information. 4. Go back to Home screen. 5. Touch Apps to continue. 7. Touch to select Location. 8. Be sure to put a check mark next to Access Location. 9. Try to use GPS to determine your position again. 1. On your device, go to Apps. 2. Touch to select Maps. 3. You'll see the GPS icon in the upper-right corner of the map. Touch this icon. 4. The Blue Arrow will then show up. The data that displays on that Blue Arrow indicates your current location.